haha i beat my mom. so our team won. actually, saying they won is an understatement. We MURDERED them. the score was 51-0, and in like the last 47 sec of the 4th quarter, they just stopped the game and said we won. it was kinda sad for them, but i'm soooo happy we won. high school football games are the best. i tried to take a picture of the team with my phone, but i couldn't. the next home game is homecoming!!! i'm so excited. i'll try and get some good pictures then. sorry i haven't updated in a while, my mom stole my blog topic about the football game. but there's another one on friday so i'll just have to jump on it before her. so the other day i just decided to go on the computer. then my friend told me that i should go on a certain site. i'd been on this site before, and even had an account, but i really didn't like it so i deleted it. this time, she said that there are way more people on it now. this certain site just happens to be facebook. and it just so happens that so many of you fellow bloggers have one and have decided not to share that information with the rest of us. why? who knows, but i'm just gonna come right out and admit that i have one. :) this wasn't really a real post but if we win on friday than i'll be sure and post again. 6 MONTHS TO GO! DAS RIGHT!!! today i had my first beginning contemporary dance class. it was pretty hard. the dancers on so you think you can dance make it look SO easy, but it is not at all. first we had to stretch forever and i am not flexible at all. then we had to do crunches and bicycles which i love to do, so it wasn't bad. then we had to put our arms out and do different exercises and my arms felt like they weighed 50 million pounds. and then she's like....ok now improv in the dark. i had NO IDEA what to do, and i'm so glad it was dark lol bc i prolly looked so stupid. i really wish it just came naturally, but it doesn't. so i'm gonna work at it, and i'm gonna be soooo sore tomorrow i won't even be able to stand it. but i'll be so buff one day. oh and btw the teacher is some like 20 year old who dances in like 7 different companys AND has taken classes from Mia Michaels AND her main dance teacher was Katee's dance teacher. crazy stuff. so she's pretty legit. well i guess i can update now. nothing new has happened except i got out of trig and into intro to college math haha. oh and i got out of LAME psychology and into clay. right now i'm making a coil pot, it's pretty saweet. its really relaxing to be able to go to school and get to play with clay ALL first period. then in my honors english class, we have evaluated many poems, and it's led me to realize, I AM SO DUMB. all the kids in my class sit there and discuss the poem for like hours and i sit there and have no idea what these words mean. plus i am not a fan of writing or reading poetry at all. so here is the dumb blonde sitting in the corner tracing her hand. no joke i think i've traced it 5 million times by now. 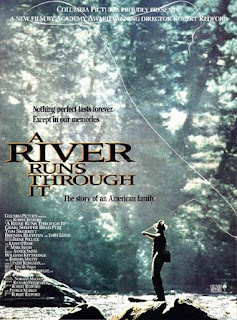 but we finally finished our first novel (or novella i guess) A River Runs Through It. its about fly fishing. i liked some parts of it, and the main idea of it. next were reading The Bean Tree. idk what its about. eventually were reading The Great Gatsby and then we get to have a gatsby party and we learn how to swing dance before we go (i already know how) and then the girls dress up as flappers and the boys as...w/e boys dressed like back then. and then we have a big dance party at this building. it sounds pretty cool. plus we go on tons of fun field trips like were supposed to go to tahoe, which if you haven't been you should definatly go (and stop and see us on the way) bc it is SO beautiful. anyways. thats whats going on in my life right now. pretty exciting stuff...not really.